See how Atlassian can assist and enhance your cloud-based deployments with everything from testing support to continuous integration. Add-ons are an accessory to software and software testing tools that extend the processing, extension, and communicative properties of the transaction. Add-ons allow developers, QA testers, and IT departments to update project teams; communicate software management and quality status; integrate metrics; continuously integrate coding; distribute tasks; view and report activity; search for commits, files, and revisions; interface with web hosting, revision and version controls; create mockups and wireframes; manage multiple user directories; integrate user applications; organize and create documentation; ad infinitum. Add-ons can operate on-premises or remotely as applications that independently function on the cloud and interact with established web transactions. As bundled cloud setups or singular applications, add-ons can be enabled or disabled according to need. The cloud, as an accelerated solution to QA testing, development, and IT processes, expedites add-on agility to extend the operations of software and software testing tools. The cloud infrastructure enables smoother, quicker, and efficient installation from the cloud and connection to the cloud for facilitated software functions. The cloud infrastructure flexibly and dynamically boosts and reinforces add-on functions in a software-managed environment that smoothly connects, interacts, interfaces, and adapts to external applications. The unlimited bandwidth of the cloud enables instant on-demand access to web and software processes, eliminating the need to update physical IT infrastructures. The freedom of execution provided by cloud technology and cloud testing ensures significant increases in cost-effective efficiency for software-influenced organizations. Through connection with the cloud, certain add-ons enable the dashboard to interact with software and software testing applications to update project teams on software QA testing, testing management, and coding quality status. Dashboard connection to cloud technology also allows that test metrics are integrated onto the dashboard data network. Software frameworks within the dashboard enable dashboard connections to existing process or testing services, or installation of dashboard features as a new service. Click the button that indicates installation. Upload, download, or connect, depending upon the installation type. The collaborative functions of Atlassian Confluence can either operate as on-premises applications or from the cloud in the form of software-as-a-service (SaaS). Confluence add-ons are installed as separate components. Use Confluence to create, organize and discuss team projects in one central location, and to coordinate tasks, empower users in the design and creation of documents, and provide a place for collaborative online discussion. Development requirements, meeting notes, articles, and reporting are communally transmitted over the web to convey contribution from all participants. Pin comments and capture diffuse information through communication on Confluence. Searches and exploration of newly available add-ons. Enabling or disabling of add-ons and add-on component. Pre-assessment of add-on compatibility with Confluence upgrades. Crowd add-on enables IT maintenance to manage users from multiple locales and directories. Users can access all applications to which they have access with one log in. System managers can map combined directories to a single application. A single console from a central location controls permissions and authentications. Administrators can change directories at will without influencing the quality of the user interface. Users can have different user aliases in respective applications, and LDAP protocols allow for the users to be added to specific groups. To remove the requirement for LDAP access, integrate your applications by giving each developer one RESTful access interface for users and groups. Almost all platforms support Crowd. Before installation, ensure that a Java Development Kit (JDK) is installed on your system. A Java Runtime Environment (JRE) is no sufficient. Generally, to get started with Crowd, engage your system connectors with the directories you intend to manage. You can also create a custom connector. Then connect user access from the directories on which their accounts reside to your system applications. Download Crowd from the Atlassian installation site by first unzipping the download archive into your chosen directory. Edit the configuration file to determine the Crowd home directory. Bamboo is a continuous integration (CI) server that merges all working copies of software development, including mainline and branch development trees. Bamboo’s continuous code integration optimizes multiple build agents in any programming language or development tool. Utilizing Bamboo enables developers to freely create multiple and multi-tiered builds; set up flags that signal commits to call for the coding of distinct changes in operation. Automated testing in Bamboo thoroughly regresses each software product in respect to all change agents. Deployment receives prime backing for continuous delivery. Boosts to the CI pipeline and integration with JIRA, HipChat, FishEye, and Bitbucket are additional Bamboo attributes. To begin instillation, first check system requirements. Familiarize yourself with the supporting application, database, OS, web, and JDK platforms. Select the instructions that relate to your system. Refer to the Bamboo Knowledge Base to troubleshoot the installation. Download Bamboo from the Atlassian download site. FishEye empowers developers and analysts in visualizing programming outcomes; retrieving activity reports; as well as performing file searches, commits, versions, or revisions across varied platforms, such as SVN, Mercurial, CVS, and Perforce. SVN, is an Apache Subversion that administers software versioning in naming development sequences for new software, and revision controls to regulate and manipulate software versions. SVN interacts with FishEye to compile and integrate activities across Git, Mercurial, the Concurrent Versions System (CVS), and Perforce, as well as other distributed and server-free version control systems. The FishEye coordination among version control systems speeds processing, ensures data integrity, and graphically displays non-linear workflows. Developers and analysts explore change comparisons within the cross-application integration of FishEye; execute diffs that calculate the differences between two files; analyze coagulated change set details; and assess full source development. FishEye also contributes graphic insights into source activities, assesses coding progressions, and visually audits change progressions. HipChat is somewhat similar to Confluence in that it is a web service that functions as a facilitator of group chats, private communication, integrations, and file sharing. HipChat can be run on any system, including Windows, Mac, iOS, Android, Linux, and the Web. Written in PHP and accessed through cloud-based file storage, HipChat contributes searchable message archives, instant messaging, custom views, video messaging, custom dialogs, constant image viewing, and global installation to software collaboration and maintenance. For information on installing HipChat, see the Atlassian HipChat Developer Documentation . The JIRA visual development tracking tool empowers agile team members to visually create user stories, plan sprints, distribute tasks, and define issues, throughout the development project. Team members can discuss and prioritize functions within the fully visual JIRA test management. The project team is thereby able to confidently deliver a current, reliable software product. 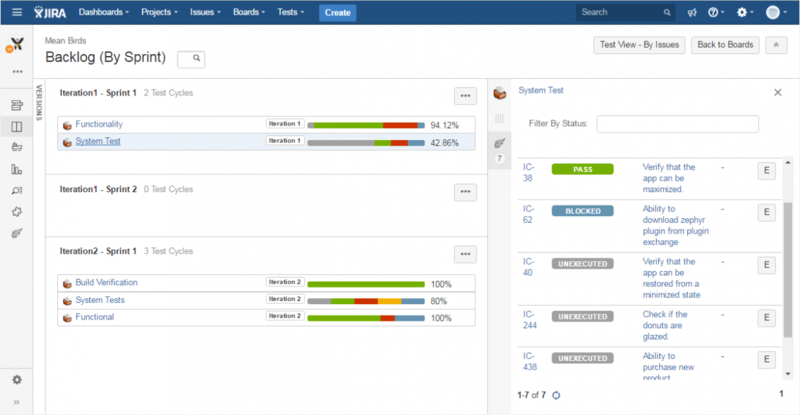 JIRA Core provides enhanced control of projects, tasks, and processes. JIRA Software is a visual structure of the team project that allows customized setups, organized work units, tracked team progress, integrated development, as well as issue clarification and resolution. JIRA Service Desk facilitates communication among project managers, team members, contributing employees, coaches, and contractors. 1. Access the Atlassian Cloud sign-up page . 2. Select the JIRA tool that best suits your current development requirements. 3. Easily complete the sign-up form. Once you are running JIRA, it is recommended that you take a look at the user guide for the JIRA application you have selected. The functionality each aforementioned add-on is based in cloud technology. The cloud infrastructure also allows integration among add-ons, as well as with existing software applications. Transfer product requirements from Confluence into a JIRA backlog. Power your Bamboo CI and monitor the build within JIRA. Utilize the automatic JIRA updates from code that is committed in Bitbucket. Continuously update the project team with globally delivered notifications in HipChat. Cloud add-ons upgrade your development workflow with flexibility and variability added to software deployment. You can use smart commits in respect to JIRA issues by simply adding syntax to a commit message. Connect FishEye to Bitbucket for immediate notification of updated repositories. And with continuous integration of your coding with Bamboo, you can detect changes that trigger your builds in FishEye. Cloud add-ons are robust and responsive to software analysis and development. Unprecedented freedom to smoothly meet requirements throughout the deployment pipeline are within reach developers and analysts through the use of cloud add-ons. Dynamic processing and functionality can be integrated. Version specification and control with cloud add-ons is smoothly consolidated across interfaces, as is interactive communication. Cloud add-ons consolidate user directories and software coding. The cloud in addition enables quick registration of issue tickets, on-demand contact with system administrators, test management communication, and collaboration on coding quality. Seamless integration activate cloud add-ons in the access and ability of test modules to quickly complete automated testing, including regressions. Add-on synthesis through cloud technology ensures that software components are more readily accessible across development tools. Seamless technology, multi-faceted applications, on-demand resources, and infinite flexibility make the cloud an ideal environment for add-on tools that interface in contrasting manners with multiple applications. Shared utilities within the cloud optimize add-on resources. The cloud infrastructure empowers execution of multiple applications and multiple users, an essential attribute for the operation of add-on tools. The cloud enables required dataset expansion that accommodates user volume and variable interactions. High availability, continuous high performance, and inherent persistence in automated execution empower cloud add-ons to deliver an integrated variety of software deployment tools.